I have an apartment *victory dance*! The trawl through Cairo’s dirty streets has been long and arduous, especially when today I got shown the same apartment, TWICE. In fact, I was shown two apartments I had already seen before! I don’t have photos. I don’t yet have a contract. I have put down a little deposit in the form of a crisp 100 egyptian pound note, which the owner and the bowab (like a doorman), kissed before pocketing. The bowab, Ahmed, and I sign contracts at high noon tomorrow. Like most Downtown apartments, it’s HUGE. High ceilings, walls that haven’t seen paint since the Brits left in 1922, a washing machine that could tear you from limb to limb, two enormous bedrooms, a massive reception and a dramatic timber sideboard that was the real reason I took the apartment. 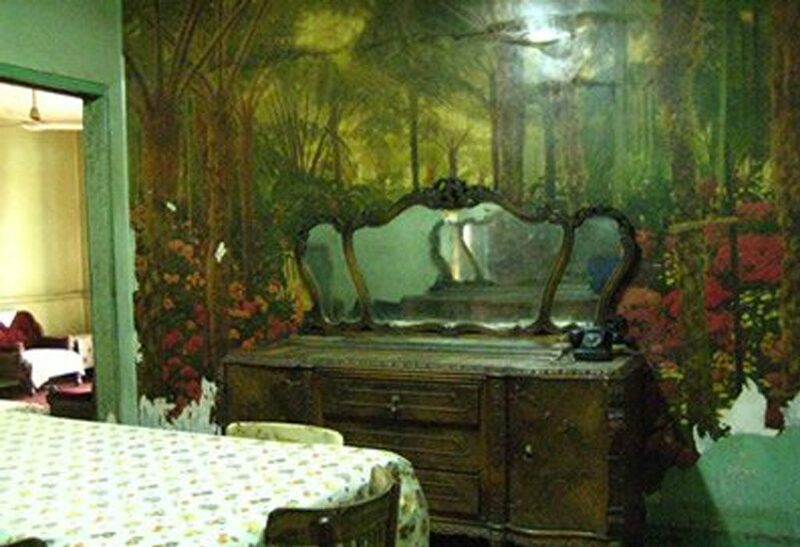 There’s a crazy, browning rustic mural of an idyllic country scene on the main wall that is the first thing you see when you open the door. The price is very good, I have no idea what I’m going to do with two bedrooms. But it has two balconies that were just made for giving speeches to the waiting masses down below on busy Sharif Street. I will clean it, then I will photograph it for general consideration… Now I’m feeling all scared that I’m going to miss the pension, which suddenly seems so cosy and welcoming. PS Mum, the lift is also a DISASTER.